It’s still so warm here. Today it is supposed to get up to 95 degrees Definitely not fall like weather, but it’s been a long week, and some sunshine is ok with me. This morning I headed to Central Market to grab a coffee and something for breakfast before work. If you don’t live in Texas, you need to come visit for this reason! Central Market is like a cross between a Whole Foods, and the nicest regular grocery store you have ever been to. It’s basically a foodie paradise. They have all of their fall/Halloween items out! There was a big display of pumpkins by the doors and an eclectic selection of Halloween themed beers by the checkout. I grabbed a coffee from one of their local roasters on rotation. I also grabbed one of my favorite quick frozen breakfasts from Glutenfreeda. They have tons of breakfast and lunch options. Today I went with the bacon, egg, and cheese, breakfast sandwich. The gluten free bread is really awesome, and it’s ready in under 2 minutes. Sometimes Greek yogurt or oatmeal just doesn’t cut it for a Friday. During lunch, I took Peanut on a nice long walk, ignoring the heat, and trying to enjoy all of the nature around me. There is something very calming and rejuvenating about being outside.With an extra busy schedule, I am trying to take moments and remind myself of how lucky I am. Gratitude for me is about letting go of the little things bothering me, and focusing on the bigger picture. 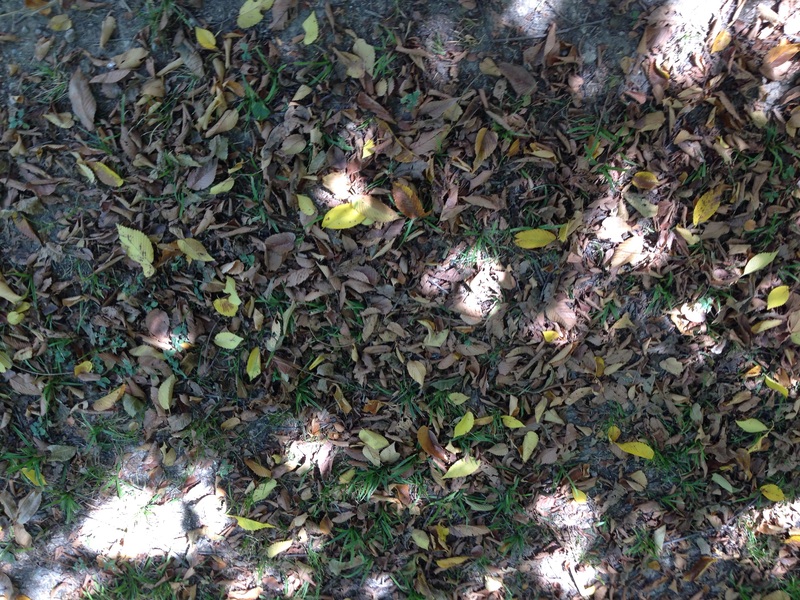 The leaves are starting to fall, and the crunching under my shoes reminds me of my favorite season. A season in which I get to spend lots of quality time with my family, I get extra time off of work, and I remember that I have so much to look forward to. What are you grateful for this Friday?